Living and working in the vicinity of downtown Dallas, you don’t see many paddleboards or kayaks on the roofs of vehicles. But if you do get the itch to paddle, you can head 7 miles east and hit a little hideaway in the Lakewood neighborhood where flat water paddling is commonplace. Originally built as a reservoir to supply Dallas with water, White Rock Lake has now become an outdoor oasis which offers the community numerous recreation opportunities. Coming from the concrete jungle that is Dallas, the scenery from your paddle board on the lake is a welcome relief from the greys and blacks of the city. A running/biking trail surrounds the lake, and protects the area immediately around the water from settlement giving you greenery and nature to observe wherever you choose to spend your time on the water. From Mockingbird Lane / E Lawther Drive on the north side of the lake, you can access a drop in spot for your kayak or paddle board. When you put in from this location, there are two options of paddle style depending on your mood for the outing. Heading north you will enter White Rock Creek, which feeds the lake and eventually the Trinity River. For the paddler looking for an easy day out, this is the route of choice. The calm water is easy to paddle through and shaded by the forest of large cottonwood and elm trees. This provides the summer paddler welcome relief from the hot Texas sun. Here you’ll observe snakes, birds, and other animals through the brush on the banks of the creek. Heading south you’ll pass under a pedestrian bridge and into the open water of White Rock Lake. Leaving the protected cove, you can hug the west side and stay in calmer waters. As you advance along the shore you’ll pass several parks and wildlife protection areas. Heading east out of the cove, you’ll find the infamous southern winds sweeping over the water. For the paddler looking for a challenge and a little exercise, this is the route to take. This is also the quickest route to the southern edge near the dam. Paddlers of all skill levels and interests will excel on the waters of White Rock Lake. For beginners it’s a great place to get their start, and if they don’t have equipment they can visit the White Rock Paddle Co. at the ‘Canoe/Boat Parking Lot’ for rentals. The calm waters in this cove and up the White Rock Creek offer great training grounds for anyone unfamiliar with a particular vessel. For enthusiasts, the windy challenge of the open waters heading south offer ample opportunity to test their muscle. 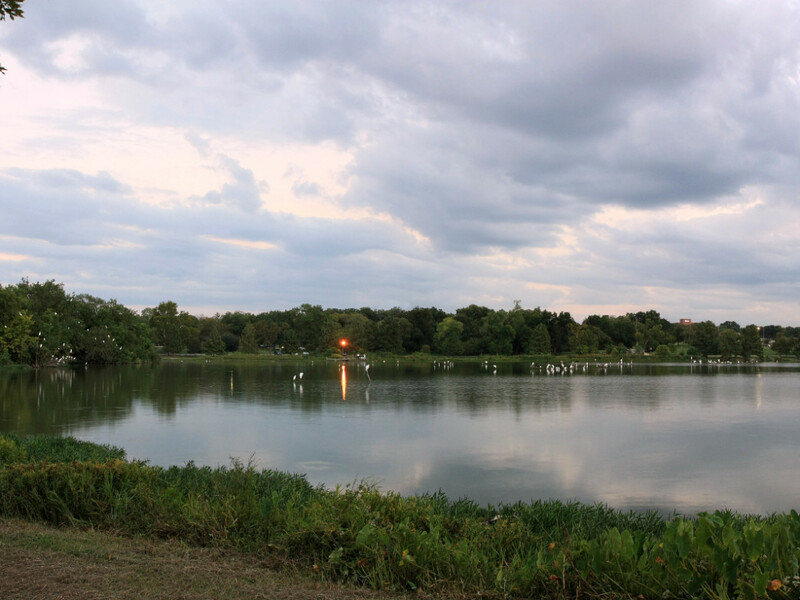 There are many parking areas surrounding the lake with access to the water. For the main ‘Canoe/Boat Parking Lot’ head East on Mockingbird from I-75 and veer off onto Lawther on the east side of the creek where a parking lot is located. From there you have direct access to the drop in, the creek, and the lake. There are also several parking lots with lake access off E Lawther Drive running down the east side of the lake. All parking lots are free. Always wear your lifejacket, and enjoy the cool waters of White Rock Lake!